Though lama’s and monks of today tend to paint a very peaceful picture, many of the deities that have been worshiped for centuries, aren’t so quiet and nice. If Vajrayogini were here today, she’d be pissed! Vajrayogini evolved from a consort of Yamantaka in the 10th and 11th centuries in India, and originally may have been a goddess within her own right- Kali- and is considered to be even more important than her consort in Buddhist practices. She is called sarvabuddhaḍākiṇī, meaning “the ḍakini who is the Essence of all Buddhas”. Dakinis appear in Hinduism and Bon, but occur most notably in Vajrayana Buddhism and especially Tibetan Buddhism. 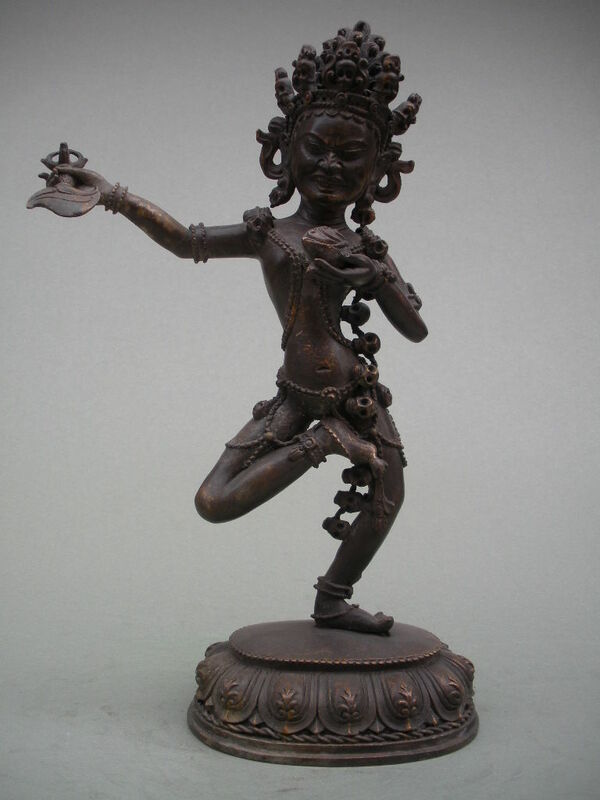 A specific type of Vajrayogini called Vajravārāhī is a particularly popular Tantric deity, similar to depictions of Vajrayogini but she often has more prominent fangs and a more wrathful expression, and she prominently displays a sow’s head above her right ear. Although there are several forms, the basic iconography is that she has one face, (usually) two hands and two legs, is usually red in color, and standing in a dancing posture on a human corpse. “The dakini, in her various guises, serves as each of the Three Roots. She may be a human guru, a vajra master who transmits the Vajrayana teachings to her disciples and joins them in samaya commitments. The wisdom dakini may be a yidam, a meditational deity; female deity yogas such as Vajrayogini are common in Tibetan Buddhism. Or she may be a protector; the wisdom dakinis have special power and responsibility to protect the integrity of oral transmissions” – Simmer-Brown, Judith (2002). Dakini’s Warm Breath: The Feminine Principle in Tibetan Buddhism. The three shops above liangli65, smile-shop99 and honesty-seller99 may all be the exact same person using different aliases. There are also several others these same people use. Though it may all seem “legitimate business” on the outside- why would so many Tibetan items- very expensive and rare ones that no religious Tibetan would really want to sell- end up in the hands of so few? 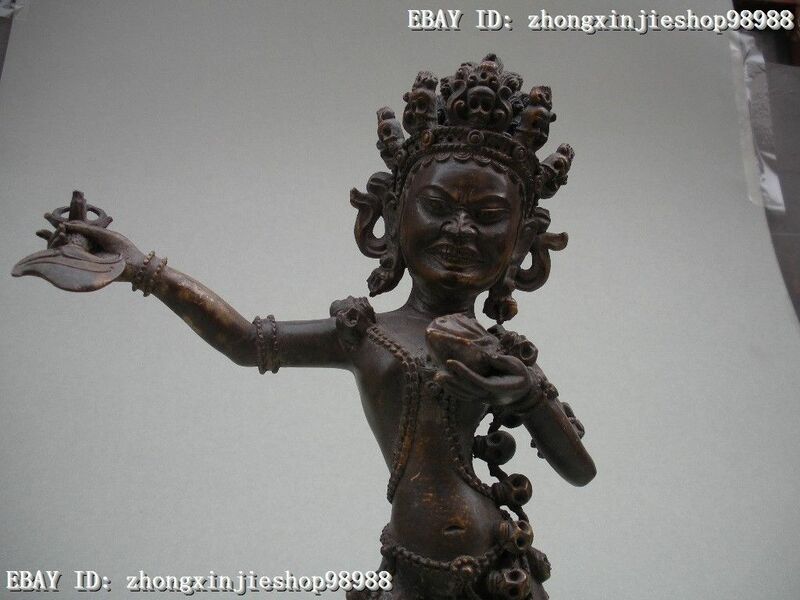 The statue above could be worth it’s weight in gold (24k apparently according to the sellers) since the Chinese usually don’t charge that much. But, on the bright side, at least the Chinese Communists didn’t just melt them down. See this auction : no longer a registered user when checked back on the auction 4/21/2016, the seller apparently just took off with people’s money in the end, but had been a legitimate seller before them (had a feedback score of 780- hard to fake that many sales) by chinacollection889 This actually may have been a purposeful move on the part of the Chinese government to erode buyer confidence and keep prices on Ebay artificially low. I’ve suspected in the past that they’ve set up dealers to take people’s money and run purposefully, these tend to be high roller kind of sellers with very high end antiques that wouldn’t even ordinarily be sold by the Chinese dealers such as the last lot of very fine antiques chinacollection889 put out before running off without people’s money. I’m predicting on this pattern of behavior that this seller zzqtk may be the next player to “go out”. Update: Sure enough, this dealer did “go out” – Comments on their feedback: “Two months have passed!!! Gave bogus tracking number, asked to wait.” “ANOTHER SCAMMER. PACKED UP and RUN WITH MORE THAN 10,000 auction items” I had actually bought items from this same seller myself over 1/2 a year ago, who did really deliver the goods to me- however the jade came to me with gravel in the cracks of it, so I left them bad feedback “The gravel in the cracks leaves no doubt where this came from- the grave!”. After this they banned me from purchasing from them again. The stone matches stone that other dealers are also selling which I believe came from the same tombs. So I believe this was either a government lackey who got tired of their job, or a government lackey who was doing their job in eroding buyer confidence. It is easy enough to just go on selling the same goods with a different name, and probably this isn’t the only shop these people had to begin with. At the time that they banned me for leaving truthful feedback, several other antique shops also banned me who carried similar goods. The wall hangings above are handwoven from silk traditionally, though in recent years they are woven by machine, often using acrylic threads. A more modern printed thangka being sold as brand new, however these may have been confiscated from people recently since the crackdown in Tibet, especially Sichuan Province since 2008. 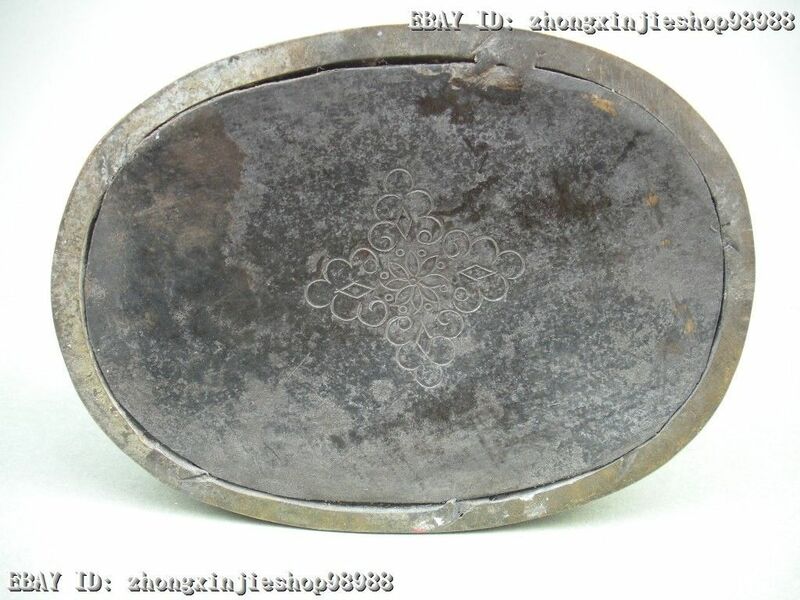 Other items the seller has are stockpiles of other antiques that are typical for Communist sellers.